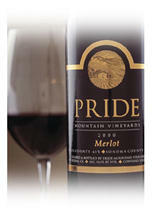 Pride Mountain Vineyards sits high atop the Mayacamas Mountains straddling the Napa/Sonoma county line. Located at the site of historic Summit Ranch, where wine grapes have been grown since 1869, this beautiful setting includes wine caves dug deep into the mountains and the haunting ruins of an old stone winery dating to 1890.; Founded in 1990 by Jim and Carolyn Pride, Pride Mountain Vineyards is recognized as one of the world´s greatest wine estates by Robert Parker, Jr., joining just 22 other California wineries for this distinction. 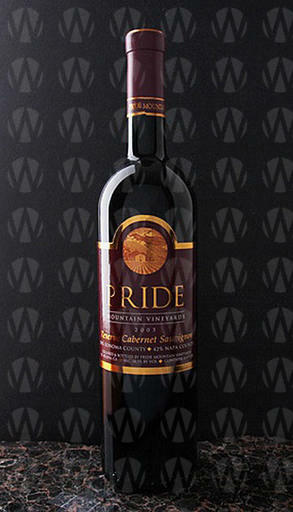 Pride wines have appeared numerous times on The Wine Spectator´s Top 100 Wines of the World list, and have been served at the White House more than 30 times during the last two decades. 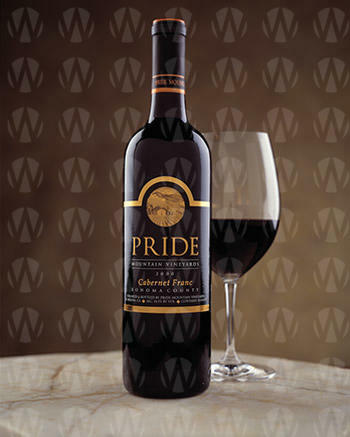 ; In 2004, Suzanne Pride Bryan and Steve Pride took ownership of the winery after their father, Jim's, passing and now continue Pride Mountain Vineyards´ tradition of producing highly lauded wines. In the cellar, winemaker Sally Johnson and her team work with the property´s exceptional estate-grown cabernet sauvignon, merlot, cabernet franc, syrah, sangiovese and chardonnay to produce world-class cuvées deserving of a place in any serious collector´s cellar. Tasting Room Size Small Tasting Room Atmosphere Tastings begin in our elegantly rustic tasting room at a beautiful pewter bar and continue into the caves. The atmosphere is convivial. Well-educated tasting room hosts enjoy sharing their enthusiasm for the property's fine wines and answering all manner of questions about the viticultural and winemaking practices of the winery. Private seated tastings are available for groups of six to twelve. View from Tasting Room: Situated at 2100' at the top of Spring Mountain, our 235 acre property offers spectacular views of the estate's eighty-five vineyard acres and the surrounding mountains. Wine Education: Our guest experience offers an intensive look at what sets Pride apart through a progressive tasting that travels from the winery to the caves.